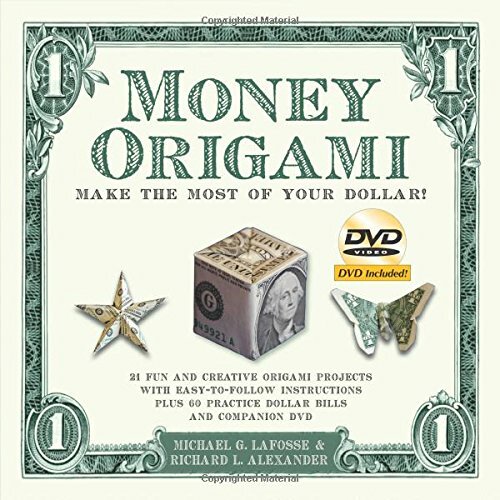 World renowned origami artist Michael LaFosse introduces Money Origami Kit. This origami kit includes a whimsical collection of new origami paper craft projects designed for paper folders of any level of skill to practice the increasingly popular art of folding origami dollars. Don’t bother with all the free, unreliable and confusing instructions out there to learn origami—having real, professional origami instructions right in front of you makes all the difference and saves you time. The origami practice dollar bills mean that you won’t have to fold on real money and can save it up to buy some more origami kits! Money origami is more popular than ever, thanks to the panoply of designs and the wonderful folding qualities of the dollar bill. Many people like to give cash gifts or tips in folded money. While the classic origami folds still fascinate, money-fold enthusiasts are always looking for fresh ideas. 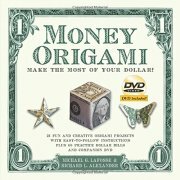 Mini Money Origami Kit is full of original designs to learn origami quickly and easily. At such a great value—folding money has never been so easy or affordable!